The textile industry is growing by leaps and bounds, opening up new applications in the automotive and mechanical engineering industries, and even in personal protection. 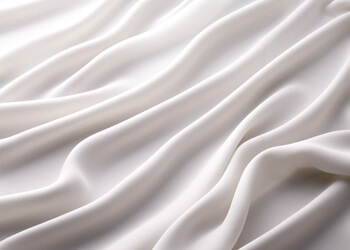 New nonwovens, coatings and composites are making this possible. Each material has unique characteristics and requires special air technology. We’ll help you stay a step ahead. 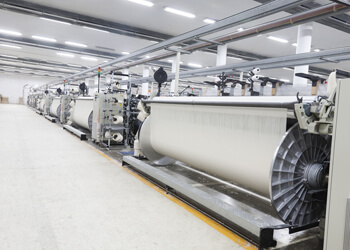 Drawing on our 90 years of experience in the textile industry, we have developed filter solutions that can meet the demands of technical textile production. Our filter systems are absolutely reliable and suitable for a wide range of fibres and dust. Our customers process both synthetic and natural fibres and are active in many industries: automobiles, machinery, packaging, agricultural products, recycling, safety equipment and many other areas. LTG filters have also proved successful in the production of carbon fibre textiles. Relative humidity is frequently a critical factor in production processes. Our humidification systems can give you perfect control of climate conditions. 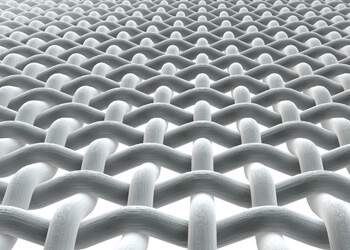 Technical textiles often do not achieve their full function until they have been finished (converted). This can include application of hydrophobic coatings, flame-retardant substances or printing. Substances that are applied in liquid form have to be dried so that the materials can be prepared for shipping. Our fans allow you to supply air just the way you need it: at high pressures, with a large volume flow or at maximum energy efficiency. You’ll find the right kind of fan in our product range. We can offer a modular, cost-effective solution for your application. Our engineering services will help you design your air system, comply with emission limits and control production parameters like temperature and humidity. To ensure maximum reliability, we can carry out preliminary tests at our technical centre or right at your location. Our compact filter unit CFU has proved itself in the production of technical textiles for many years now. It has a modular structure and can consist of different filter stages depending on the design. For example, these systems can be equipped with a TVM pre-filter unit and a fine filter like the CompactDrum Filter®. Reusable filtered materials such as carbon dust or fibers are conveyed to the respective secondary circuits, where they are efficiently separated by our ZSA/ZSB/ZSC centrifugal separators, FKA/FKC fiber compactors or CPS compacting power screws. Our TFB/TFC drum filters, which are designed for large air quantities, are also an economical and dependable filter solution. Our product portfolio also includes LTG fans for air treatment in all designs and sizes. Among those of special importance for technical textiles are our highly efficient LTG axial-flow fans and high-quality LTG centrifugal fans, which are mainly used for conveying primary air. Our conveying fans in the M./5 RU..MS series were specially developed for handling concentrations of dust and fibers in the secondary circuits of filter systems. By selecting special, highly wear-resistant material pairings, we have made them very durable and minimised the maintenance requirements. We are experienced in the production of textiles based on synthetic fibres (polyester, nylon, aramid, polyamide, polypropylene and others) and natural fibres (wool, cotton). LTG fans are also used successfully in the production of carbon-fibre textiles. 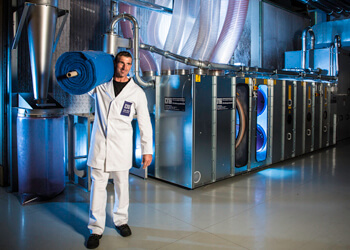 For over 90 years now, our systems have been well known in the textile industry throughout the world.